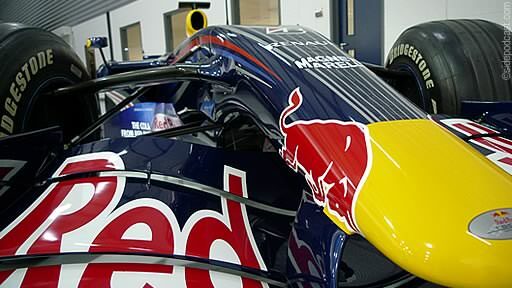 This afternoon, thanks to a kind offer from Ian at Racing Bulls, I managed to tag along to a very lovely tour of the Red Bull F1 factory near Milton Keynes. Myself and ten other fans, including Dan from The Red Bullog, all had what can only be described as an amazing day. I'm gutted that Christine couldn't be there, especially as she missed out on a second bite of Mark Webber at The Stag. 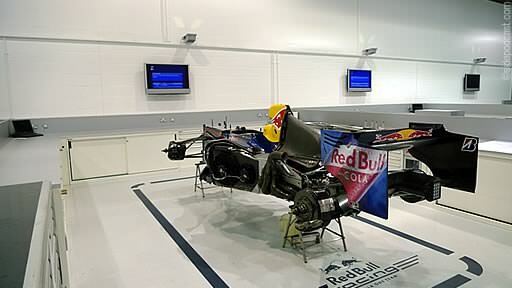 The team offered us a candid insight into the workings of their factory. We were allowed to take photographs (mostly) and I even came home with an RBR branded hat - suitable for all manner of killer podpanel questions. There's way too much to talk about in a single post, but thankfully that's why we have a podcast. I have much to discuss this Sunday, and maybe we can twist Dan or Ian's arm to join us live too? Episode 51 - What's that helmet doing in the middle of my dinner?